Matrix Model Management was founded by Alvin Clayton and Jacquelyn Willard in 2006. Together, they sign models to top modeling agencies worldwide and staff models for the most prestigious luxury fashion brands in the industry. 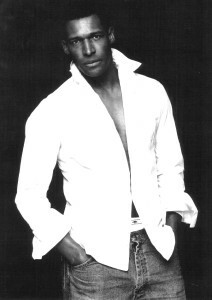 ALVIN CLAYTON, co-founder of MATRIX MODEL MANAGEMENT, has been modeling professionally for over 20 years. As a top model in the 80s and early 90s, he knocked down several doors for African Americans in the media. In 1985, he signed with Wilhelmina and worked steadily for 5 years. Upon the rapid growth of his career, Ford Models signed him in 1990. Alvin has had the opportunity to grace the pages of almost every magazine. He has also made strides for representation of African American men in the industry, being the first African American male to have a 10 page spread in GQ. The management division specializes in strategic development of the top model and influencer in the industry. Our focus is in building the blocks for longevity in a models career. With Alvin’s prestigious connections for over 25 years, the foundation of Matrix Model Management is the strength of its established unrivaled network. Matrix Model Staffing was founded to create high end, efficient and effective staffing solutions in the field of event marketing. Our main goal is to provide our clients with articulate, attractive, and high energy brand ambassadors while aligning your brand with target influencers. Matrix’s passion to exceed your expectations is driven by thorough methods designed to assure our quality of service and your consumer’s brand experience. Our company’s partnership is composed of several key people with experience in the field of marketing/promotions for wines and spirits, entertainment, model management, and software engineering for IT solutions.